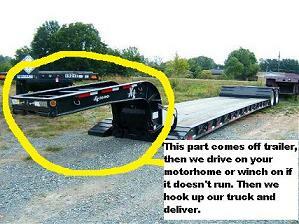 RV Transport, RV Shipping, RV Movers, RV Moving, RV Delivery. 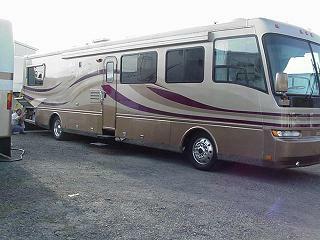 Showroom Transport will proudly arrange the transport of your RV. We cover all 48 Continental U.S. States and to/from Hawaii. 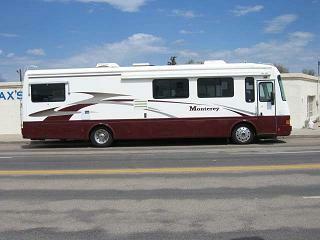 RV Moving includes campers and all types of trailers. 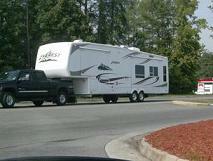 Showroom Transport arranges for the right carrier to haul your Recreational Vehicle. Due to the fact that we will be using a rgn trailer to haul your motorhome, (which is only set up for certain size motorhomes) certain specification restrictions apply for us to move your motorhome. 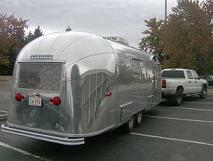 Your motorhome will not be towed by our company. 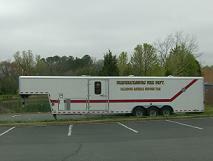 Your motorhome will be placed on top of our trailer. We can tow your Recreational Vehicle.